Policies friendly to the manufacturers of prescription drugs bear a lot of responsibility for the current opioid crisis. I WITNESSED THE EFFECTS OF THE OPIOID CRISIS first hand in November. It was a Sunday afternoon and my brother and I were driving from East Vancouver into Downtown. In the space of about five blocks along Hastings Street we saw no less than three clusters of fire engines and ambulances, their lights flashing while swarms of first responders scurried to administer to those overdosing in broad daylight. As we wove our way through the melee my brother and I looked at each other and said: Is this what the opioid crisis looks like in BC? The question we need to answer, especially given that these deaths often involve legally-obtainable, provincially-covered painkillers, is this: Who is responsible and how can we stop the mounting death toll? It’s worth thinking of the parable of the bridge. You know the old story where babies are spotted floating down a river, and a village is mobilized to jump in and save them one by one. The villagers become very busy saving babies from drowning, but it isn’t until someone asks, “How are those babies ending up in the river?” that a search party is sent upstream only to discover someone flinging them off a bridge. It’s pretty clear British Columbians are mobilizing to save those babies, yet some would argue we haven’t a clue how to mount an effective search party. Let’s be clear: Death by overdose is a very small but very noticeable part of a very large problem that is threatening entire communities. Some say political attention is happening now because it’s not just marginalized Canadians who are dying, but also young people from middle-class families who are consuming and dying from weapons-grade opioids. While there is certainly a criminal element linked to the current spate of fentanyl deaths, many researchers are focusing some blame at prescribing policies, as well as political leaders who, the researchers say, have been asleep at the switch. Yet the focus in BC doesn’t come close to tackling problems related to the behaviour of the pharmaceutical industry or the prescribing by doctors. Why is that? Perhaps one has to follow the money. IT DOESN'T TAKE A ROCKET SURGEON to see how close the BC Liberals are to the pharmaceutical industry. For example, in late November, a news release entitled “Transforming drug research and development in BC” announced that the BC Liberals tossed another $13 million to UBC’s Centre for Drug Research and Development (CDRD), which was on top of the previous $29 million they gave them in 2012 in order to support the centre’s goal of “bringing new drug therapies to the market.” This centre’s purpose, of commercializing drug discoveries, is basically to help industry make drugs that make money. 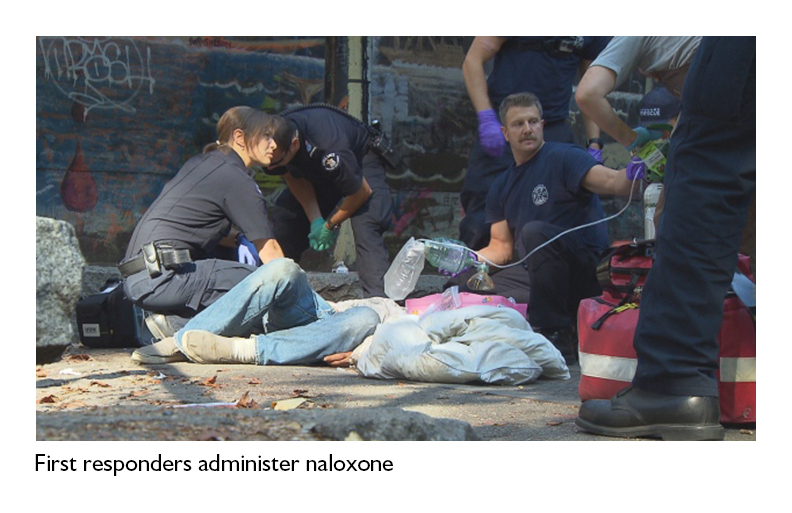 To their credit, besides increased access to naloxone, the BC government has injected $10 million into an addiction treatment research and training centre, as well as set up a Joint Task Force on Overdose Prevention. In announcing this task force, the Premier said that they want to work with the feds to expedite safe injection sites, restrict the sale of pill presses, and limit access to the constituent ingredients of black-market fentanyl. All decent actions to deal with the supply, but what about the demand? And there’s still little help for those wanting off the drugs. MLA Judy Darcy, the BC NDP Health Critic, told me she attended a City of Vancouver forum on the fentanyl crisis. “We heard loud and clear that treatment and recovery has fallen off the table,” she said, adding, “We have no funded treatment programs in British Columbia.” Darcy said that treatment in BC is really only for those who can afford the immense cost (often $30,000 or more), and even then, many addicts need several expensive tries at rehab before they get to sobriety. The Liberals’ 2013 election promise of 500 treatment beds has failed to materialize, though they are now aiming to have them in place by March. A quick search of the lobbying registry in BC finds that more than 20 percent of the lobbying in BC happens around healthcare; pharmaceutical companies are among the most active lobbyists in that sector. There are dozens of registered drug lobbyists in BC, many representing drug giants like Pfizer, Eli Lilly and Novartis, which make opioid painkillers. Since the late 1990s, drug manufacturers in Canada have underwritten the writing of pain guidelines, and paid “key opinion leaders” in the physician community to downplay the dangers of opioids. This helps explain why, globally, Canada is second only to the US in per capita prescription opioid consumption. In November 2016, six officials connected to Subsys, the company that makes prescription fentanyl in the US, were indicted on a range of charges, including conspiring to bribe physicians and offering kickbacks for getting them to prescribe their fentanyl-based pain drug. The extent to which this kind of thing is happening in BC is impossible to determine, because the BC Ministry of Health has no program in place that tracks physician payments by pharmaceutical companies. Three years ago the Vancouver Sun reported that drug companies and pharmacies donated $582,549 to the BC Liberals between 2005 and 2012, an amount that is 14 times what those organizations gave to the NDP. (During those same years, opioid prescriptions rose by around 30 percent.) Astonishingly, the BC Liberal convention this fall was underwritten by at least two drug companies and a chain drug store! The result is pro-pharma policies that have fuelled the opioid epidemic in BC. Since the mid-1990s, for instance, liberal prescribing of opioids can be linked to the message-crafting activities of the pharmaceutical industry that helped shape both patient perceptions of pain and influenced how doctors thought about the safety of these drugs. Here in Victoria, we’ve seen ongoing efforts to destroy independent research and evaluation, most spectacularly through the ongoing saga of the 2012 Ministry of Health firing scandal, including the suicide of one of the researchers. The estimated $100-million price tag for that fiasco, and the death of a culture of drug safety evaluations, has not yet ended as the government has punted this embarrassing problem to Ombudsman Jay Chalke. Programs that we had in place to monitor prescribing and to educate physicians have been scrapped by this government. The torpedoed research and evaluation branch of BC Pharmacare has never been resuscitated. Independent evaluators, like those at the Therapeutics Initiative at UBC, could be used to help document and evaluate opioid prescribing in BC, but they have been pushed to the sidelines. The College of Physicians and Surgeons new guidelines are attempting to crack the whip on opioid prescribing, but they may just end up driving even more people to the street to find the pain relievers they’ve become addicted to. Ultimately, we have the capacity to mount a search party and find out who is flinging those babies off the bridge. But with an election looming, don’t expect any serious attempts to stop the flow of opioids or to stand up to the culture of pharmaceutical industry largesse that continues to percolate through the Ministry of Health’s decision making.